Kobus and Zelda van Heerden welcomes you to our little bit of Heaven where getting back to nature simply could not be easier. Klein Paradys Little Paradise, Cloud Nine, Seventh Heaven, describes Klein Paradys Guest Farm in its entirety. 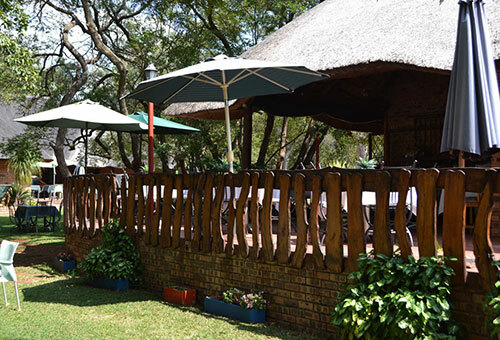 Klein Paradys Guest Farm is tranquilly located amidst beautiful Savanna bushveld and the Caravan Park nestles at the base of a delightful hillock presenting a composed and peaceful backdrop to our sedate and serene little park. For that well-earned break where you can relax amidst friends and nature lovers, let Klein Paradys Guest Farm show you how. Very gracefully situated on a 248 ha Nature and Game Farm, Klein Paradys Guest Farm is within easy driving distance from Johannesburg, Pretoria and Pietersburg. Our beautiful and tranquil Guest Farm and Caravan Park is only 18km from Bella-Bella (Warmbaths) and 12km from Modimolle (Nylstroom) and offers beautiful scenery, extreme tranquility and is the perfectly located resort for the discerning family seeking the classic getaway for weekends or a much-deserved annual vacation. Klein Paradys Guest Farm is especially famous for its variety of Wild Fig Trees, indigenous trees, abundance of birds, beautiful plants and we have even introduced some game which can be viewed from within the park. Blesbuck, Impala, Zebra, Blue Wildebeest and Kudu can be seen from our 4 x 4 late afternoon game drives. Other species commonly sighted include Duiker, Klipspringer, Wart hog and Bush pig. Our guests can easily embark upon scenic walking trails. A well-defined map of the numerous trails has been prepared for your convenience. For the kids, we have sheep, goats and ducks. To complete the setting, the indoor heated pool allows for soaking in summer and swimming in winter and is situated close to the shop and animal camp. There is a large play park for the little ones, volley ball , darts, pool table and table tennis so as to add to your and your families enjoyment.